Seawater is brutal on equipment. The salt, the pressure and the regular use all add up to a harsh environment that wears metal and other ROV components down quickly leading to downtime and failure. 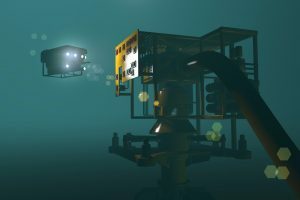 ROVs are expensive pieces of equipment and every minute of downtime means costs and lost revenue. Metal parts can't stand up to the endurance of nylon components. Why? Nylon is self lubricating meaning it provides a tight seal, preventing salt water damage, but even in the abrasive conditions, nylon can take it - it stands up to salt water, chemicals and pressure. The ability to color nylon components may not seem important, but consider the ability to color code the various functional elements whether it's construction tools, drilling support or monitoring. Perhaps one of the most advantageous benefits of nylon is its lightweight. Reducing the weight of an ROV allows for easier maneuverability and function. No matter what your ROV needs to do, make it as durable as possible with nylon components that last. Contact us regarding your unique application.